A proposed ordinance that would update some of Guadalupe's 38-year-old zoning regulations faced a few setbacks recently, after a developer and members of the agricultural community pushed back on added restrictions to facilities in multifamily zoning districts. Ordinance No. 2018-476, which would amend portions of the city's municipal code that were adopted in 1980, was first presented to the Guadalupe City Council at a meeting on Aug. 14, according to a city staff report. Several of the proposed changes would reflect those now required by state law. A proposed change to Guadalupe’s zoning laws regarding multifamily properties received criticism from agricultural industry advocates in October who said the restrictions would affect farmers who use the federal H-2A guest farmworker visa program. If passed, the ordinance would allow small and family day care facilities, home occupations, and household pets as permitted uses in single family neighborhoods. Lots in those areas could not be less than 4,300 square-feet in size. It would also change legal language in some sections of the city's code, add a public facilities and institutional zoning district to Guadalupe's map, and ensure that development by the city, federal, and state government on federal and state-owned or leased land would be exempt from the city's provisions. But several community members and local organizations, including the Grower-Shipper Association of Santa Barbara and San Luis Obispo Counties, took issue with proposed restrictions and requirements in multifamily and industrial zones, leading city staff to edit the ordinance and return it to another first reading. In multifamily zones, the ordinance would have required 500 square feet of lot space for each occupant, a change the staff report said would prevent overcrowding. Grower-Shipper Association President Claire Wineman said the restriction would have made it more difficult for farmers to house H-2A workers in Guadalupe. The federal H-2A program, which allows farmers to bring vetted nonimmigrant workers into the U.S. to provide much-needed agricultural labor for a limited time, has been a hot button issue in recent months in the Santa Maria Valley, San Luis Obispo County, and all over California. Farmers using the H-2A program must provide their workers with pay, food, transportation, and housing, the last of which has stirred up major concerns about overcrowding in California's already packed residential neighborhoods. The state is in the midst of a housing shortage, Wineman said, and most cities are working to increase housing density parameters in an effort to meet the demands of a growing population. Some Grower-Shipper members and local business owners, she said, have concerns about the impacts of Guadalupe doing the opposite. Guadalupe already has limited farmworker housing space for employers in the area, Wineman said, because of past ordinances that put limits on group housing in the city's single and multifamily neighborhoods. Wineman said Grower-Shipper members also voiced concerns about possible added restrictions to Guadalupe's general industrial zoning district, an area carved out specifically for agricultural processing and support industries. Under the proposed ordinance, trash receptacles would be required on each parcel; storage on vacant lots would no longer be allowed without the city's permission; and storage on any lot, air and heating ducts, and outdoor equipment would need to be screened from public view. Landscaping could be used as a screen, according to the staff report. Some of those requirements could be difficult to meet, Wineman said. "We recognize the need to balance multiple land-use objectives but are concerned with the prioritization of public views over industrial functionality ...," Wineman wrote in a letter addressed to the Guadalupe City Council that was distributed at its meeting on Oct. 9. Wineman told the Sun that the Grower-Shipper Association would like more time to learn about the proposed requirements in general industrial zones and how they might impact families and businesses in the area. As for the square footage requirement in multifamily zones, Wineman said she hoped the city would reconsider. That's exactly what city staff did, according to Larry Appel, Guadalupe's contracted city planner. Appel said he removed the 500-square-foot-per-person density requirement from the ordinance after a developer objected. The developer, who Appel said recently applied to build an employee housing facility in Guadalupe and is in the midst of the approval process, worried the ordinance would hamper his ongoing project. That plus concerns from the ag community led Appel to remove the density restriction in multifamily neighborhoods, he said. The proposed changes in general industrial zones, however, will likely stay in place. "Those are all just standard development conditions that should have been in there all along," Appel said, adding that the same requirements already exist in Guadalupe's other industrial and commercial zones. 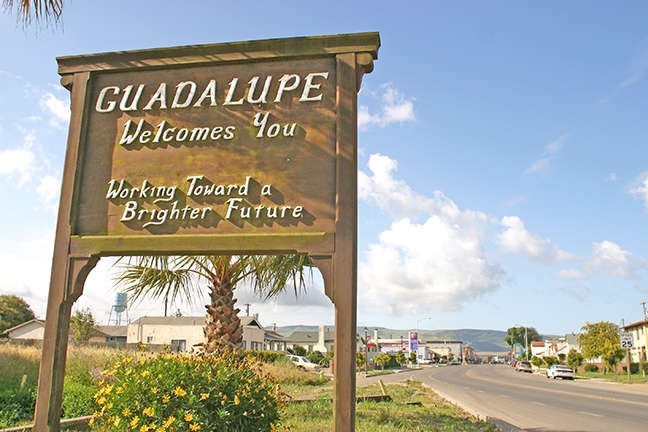 Although the proposed zoning ordinance faced its second reading at a Guadalupe City Council meeting on Oct. 9, Appel said because significant changes have been made to meet community needs, the edited ordinance will be reread for the first time again at a council meeting on Nov. 13. Appel said he's confident the edited version will please most stakeholders and pass within the next few months. "I think we've got it," he said.